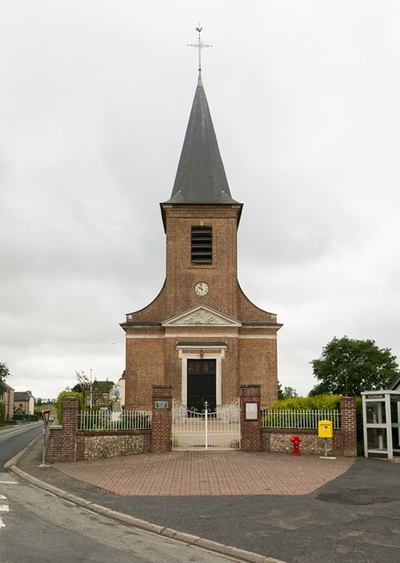 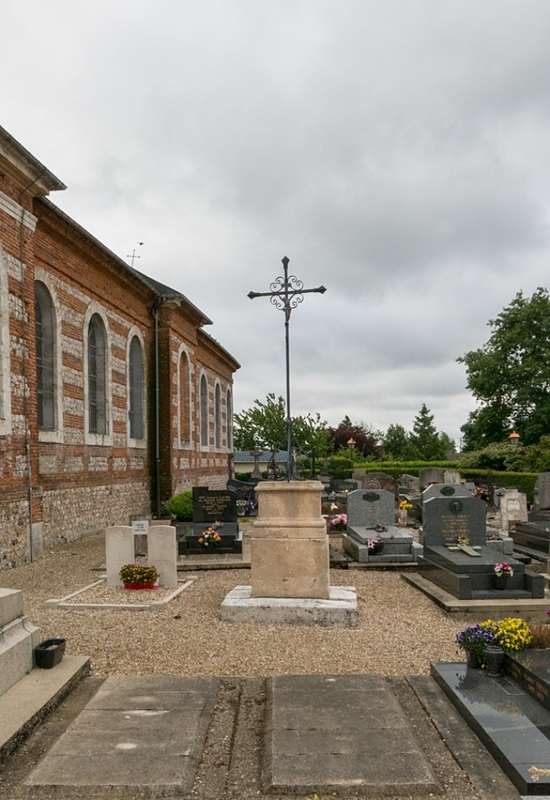 Vergetot is a village and commune 20 kilometres north-east of Le Havre, and 10 kilometres south-east of Etretat, on the D.39 road from Etretat to the main Goderville-Le Havre road (N.25). 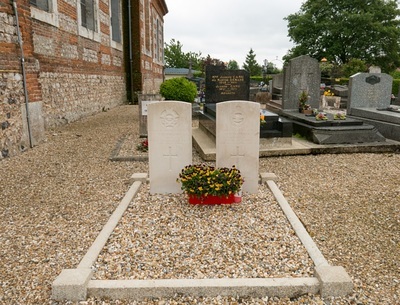 The two British graves are near the north-west corner of the churchyard. 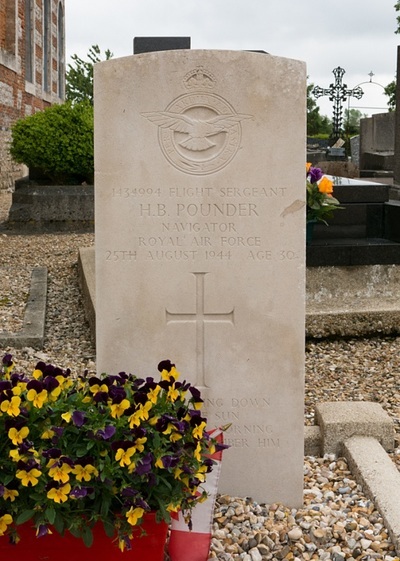 1434994 Flight Sergeant Herbert Beaumont Pounder, Navigator in 107 Squadron, Royal Air Force Volunteer Reserve, died 25th August 1944, aged 30. Son of James H. and Bertha Pounder, of Burnley, Lancashire; husband of Ethel M. Pounder. 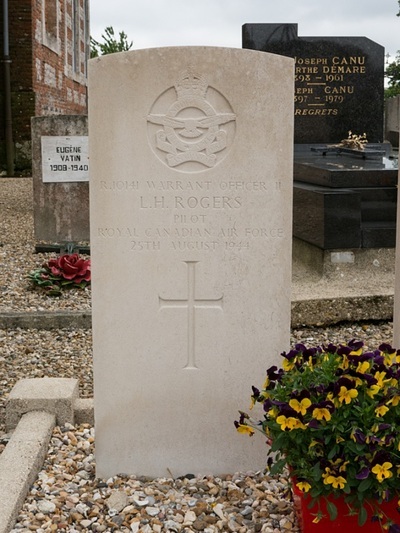 R/10141 Warrant Officer Class II, Lynn Harold Rogers, Pilot in 107 Squadron, Royal Canadian Air Force, died 25th August 1944.